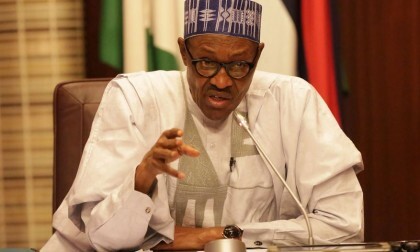 President Muhammadu Buhari has called on the Head of the Civil Service of the Federation, Mrs Winifred Oyo-Ita to develop a roadmap that will ensure an effective, innovative and service oriented Civil Service. In a report signed by the Assistant Director, Media Relations in the office of the Head of the Civil Service of the Federation, Mohammed Manga, its states that the President made the call at a Dinner and Award Night organised by the Office of the Head of the Civil Service of the Federation as part of the activities marking the 2016 Nigeria Civil Service Week which ended last Friday night. The President who was represented at the occasion by the Secretary to the Government of the Federation Engr. Babachir David Lawal said such civil service, was critical to ensure the realization of Government’s change agenda. The President while congratulating the awardees, tasked civil servants across the country to remain committed to their duties and to work with the interest of the nation at heart always. He stressed that the fact that the civil service was the engine room of government across the world, could not be over emphasized. The theme for this year’s Civil Service Week was; “Public Governance for Inclusive Growth; Towards the Africa we Want’’. Earlier, the Head of the Civil Service of the Federation in her welcome address, called on public servants across the country to embrace an inclusive and citizen oriented service delivery. This, she said, requires the public service and civil service to stepped up efforts to become more efficient, proactive, result oriented, financially accountable and corruption resistant. “This is the only option for us in the Civil Service of the Federation as we have resolved to totally embrace the change agenda of government’’. She added that the engagement culminated to the evolution of a new ethos for the service, founded on the collective desire for efficiency, service delivery and productivity among others. Adding that the ethos had been captured in the acronym; “ EPIC“ which implies a civil servant and civil service that is Efficient, Productive, Incorruptible, and Citizen Centered. She said that the embrace of EPIC, was an inevitable response to the image and efficiency challenge of the service. According to her, the EPIC culture will restore hope and dignity to the service by reversing the current reputation for inefficiency, low productivity, corruption and insensitivity to the needs of citizens. “The EPIC culture will emphasize the core values of the service with are meritocracy, transparency, professionalism, anonymity, discipline, impartiality, political neutrality, patriotism and accountability’’. She, however, added that the attainment of this desired end state, would require strong enforcement of extant rules and regulations in the service. Some of the rules and regulations she further added included; Public Service Rules, Financial Regulations, Exercise of Due Economy and Prepayment Audit among others. The Head of Service maintained that the misgiving in the service notwithstanding, there were still a good number of civil servants with proven track records that were demonstrating high patriotism and that a total of 41 such distinguished civil servants in different categories are to be honoured today. This included the Presidential Distinguished Public Service Career Award, the Presidential Civil Service Merit Award and the Head of the Civil Service of the Federation Commendation Award.